Rita Farrell, a Hoosier native of Hamilton County, now works in Bentonville, Arkansas with the Gundersen National Child Protection Training Center. Rita posed a question to a room of 82 CAC team members in Noblesville, Indiana: “How do we defend what we testify [in court]?”. Rita came back to Indiana for a two day training event for forensic interviewers, prosecutors, Department of Child Services family case managers, prosecutors and law enforcement officers to help answer that question. While many interviewers may focus on a specific form of maltreatment, like sexual abuse, Child First will allow interviewers to think more about other maltreatment and have the flexibility to gather more evidence to help the child. Child First might be utilized in a situation where a child is being interviewed for alleged sexual assault with a focus on one suspect, but ensuring there isn’t an additional trafficking charge that needs to be investigated along with several other possible suspects in multiple jurisdictions. “I don’t want any of us to miss something,” Rita said. 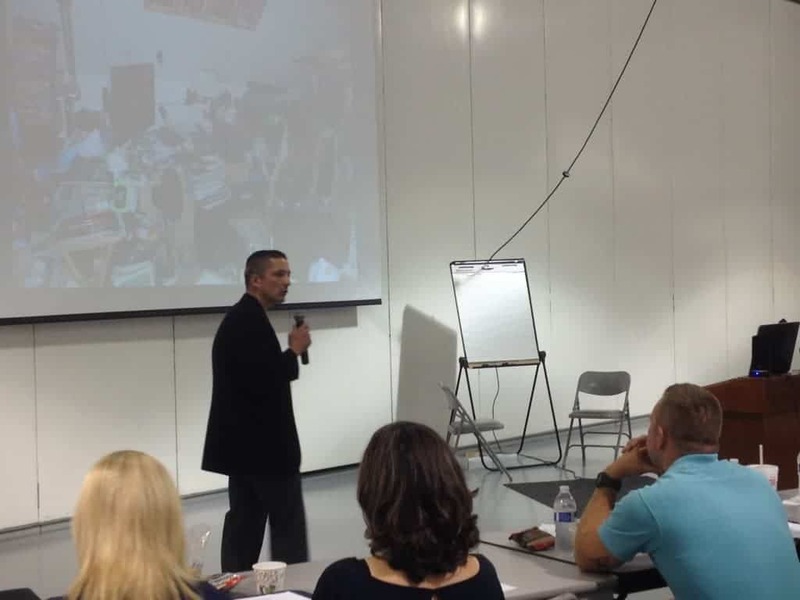 This event was held July 30 and 31, 2014, and was supported in part by iRecord, presented by Word Systems, Inc.
On Friday, July 31, Sergeant Christopher Cecil, G.C.C.F., Computer Forensic Examiner, Cyber Crime Unit, Indiana State Police trained the group on Cyber Crime and Child Sexual Abuse.